I don’t know about you but every time I go for Malay weddings, I only look forward to having nasi minyak or nasi biryani. 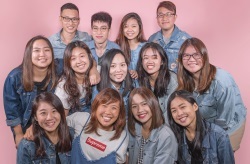 Sorry relatives, no hard feelings, okay? I love how the weddings would always have a spread of food, with trays all lined up in a buffet style. Rice is always placed first and that’s where the real excitement is. Lift up the lid and boom, a blast of fragrance hits you. It always reminds me of a scene from Shokugeki No Soma, where Akira Hayama cooked a plate of curry and it was exploding with aroma. That is an exact representation of a good nasi biryani. If you’re not attending any Malay weddings anytime soon, these famous nasi biryani can help satisfy your cravings. Let’s start with this year’s Michelin Bib Gourmand awardee – Bismillah Biryani. What makes their biryani different is that they use combi ovens, which feature both convection and steaming cooking methods. This makes their rice very aromatic, fluffy, and moist. 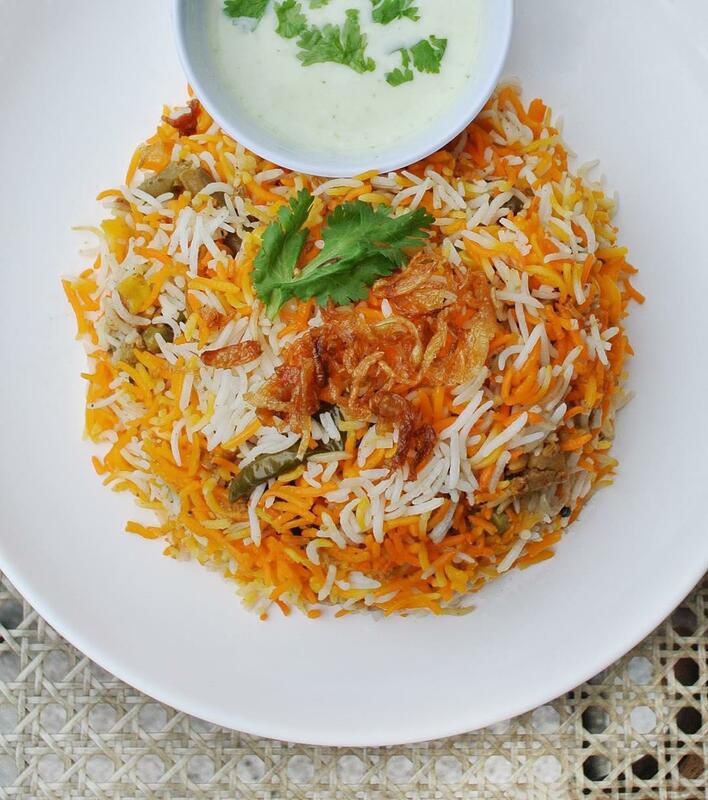 Try their Chicken Dum Biryani ($8.50), which is made up of marinated chicken with basmati rice, boiled egg, and raita. Unlike regular curry-drenched biryani, this one is served with raita as the yogurt-based sauce is lighter and helps with digestion. Dig into the fork-tender and moist chicken meat, which goes well with the aromatic rice and raita. Next, we have Mami Midah Biryani which is located at Eunos Crescent Market & Food Centre. They offer healthier plates by substituting coconut milk with evaporated milk and ghee with vegetable oil. Despite using healthier alternatives, their nasi biryani’s taste is not compromised. 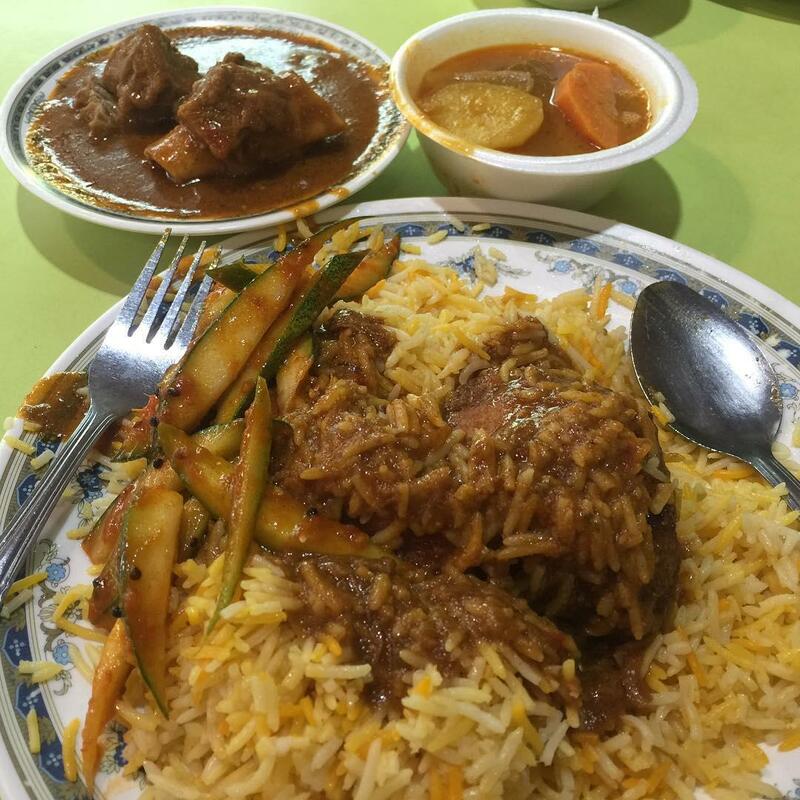 Dig into their Mutton Biryani ($5.50), which is served with vegetable achar and curry. Enjoy the lean and flavourful meat with the fragrant rice, with the sweet and sour achar which complements the biryani very well. Not forgetting they also have Chicken Biryani ($5.50) if you can’t live without chicken meat just like me. 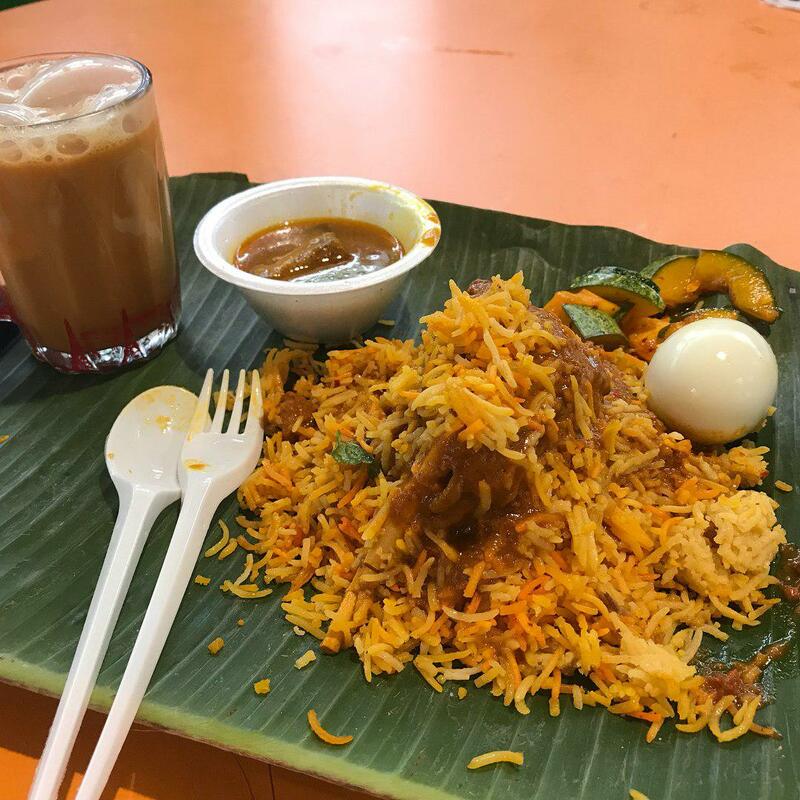 At Imam Banana Leaf Restaurant, nasi biryani is only available from 11am onwards. The place is pretty convenient to get to – drop off at Kallang MRT Station, get out via Exit A, and it’ll only be a five-minute walk away. Try their Chicken Biryani ($6). It offers juicy meat coated in a thick gravy and is served with crispy papadum and fruit achar. They also have Fish Biryani ($6) which is not commonly served. The sweet and soft fish meat goes very well with curry, achar, and rice. 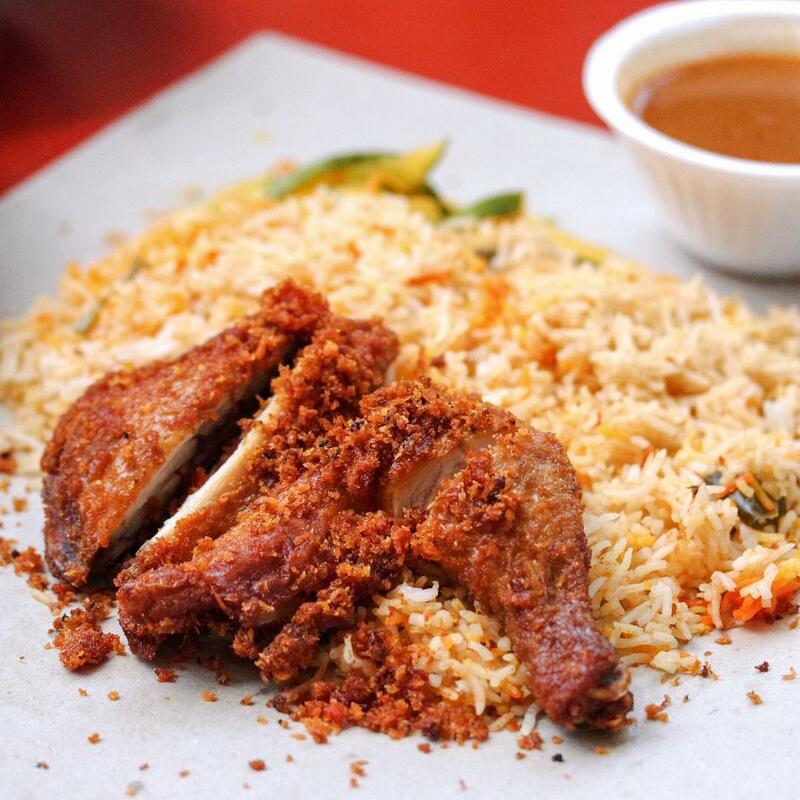 Unlike regular nasi biryani stalls, Sikkander’s Briyani serves deep-fried chicken instead of curry chicken. This is a great alternative if you’re looking for something different. 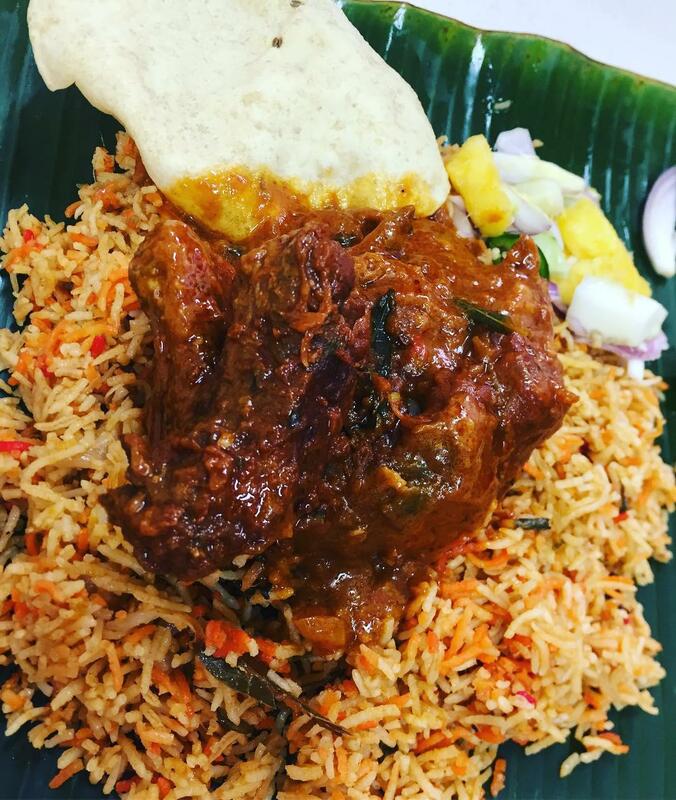 Their Chicken Briyani ($3.50) is served on brown paper with a generous amount of rice, achar, deep-fried chicken thigh, and curry. Enjoy the crispy skin and tender chicken meat with the aromatic long-grain rice. 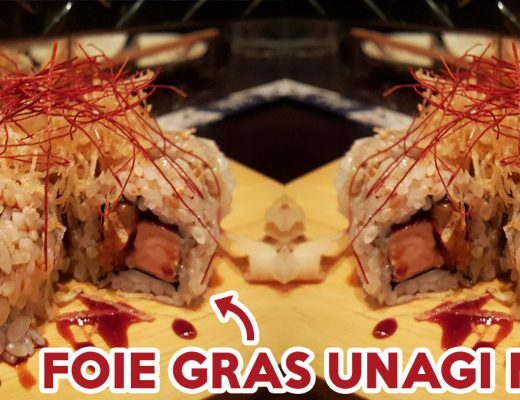 Make sure someone is accompanying you if you drop by, just in case you land into a serious food coma afterwards. Koothurar Nasi Briyani, or also known as Beach Road Nasi Biryani, has perpetual snaking lines under a HDB block. Customers are willing to queue for hours just to get their hands on their Nasi Briyani Mutton ($6). What’s unique about it is that they serve the mutton with the meat still attached to the bone. Enjoy the mound of fluffy rice, nicely cooked without being too oily or dry. The mutton meat is fork-tender and well-marinated, with every bit of meat packed with flavour. Join the line ASAP as the mutton usually sells out early, even before their closing time. Fret not as they also sell Chicken Briyani ($6) and Fish Briyani ($6) if the mutton briyani is sold out. 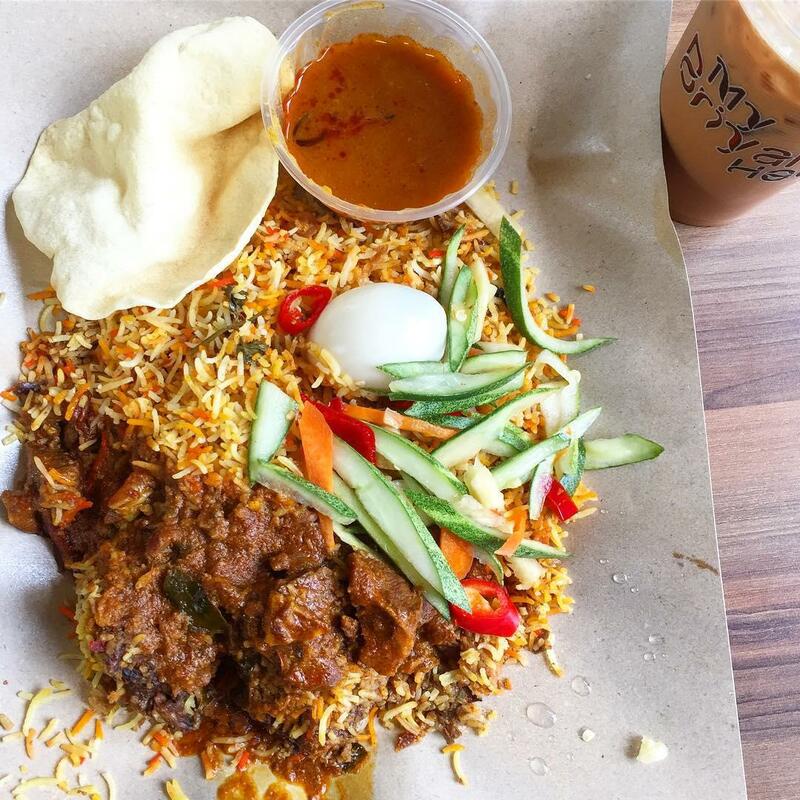 If you frequent Tekka Centre, you would probably know about Allaudin’s Briyani. 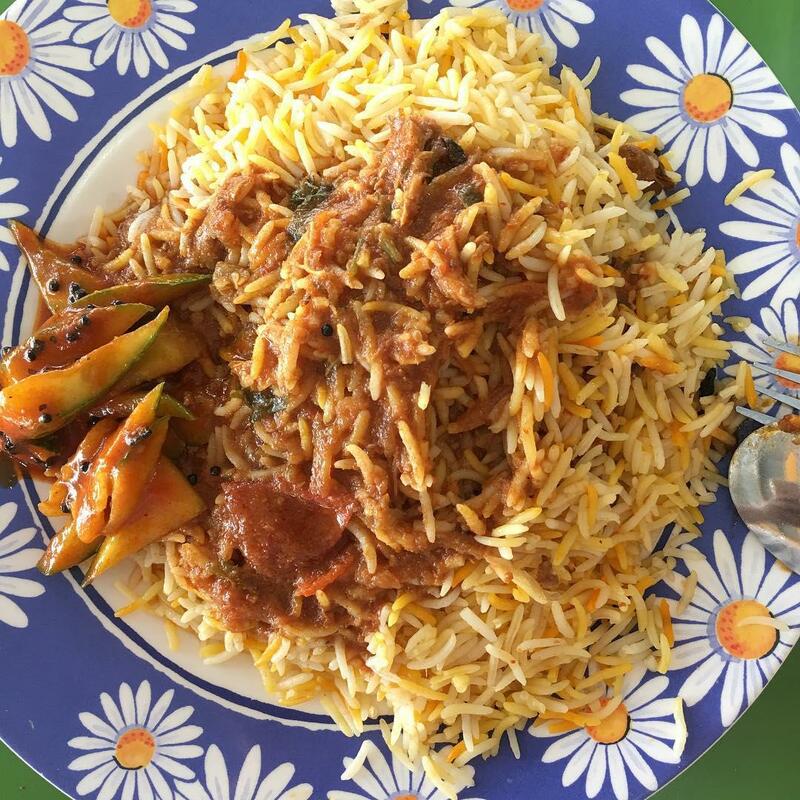 They are known for their Chicken Briyani ($4.50) which is value-for-money for its portion and quality. 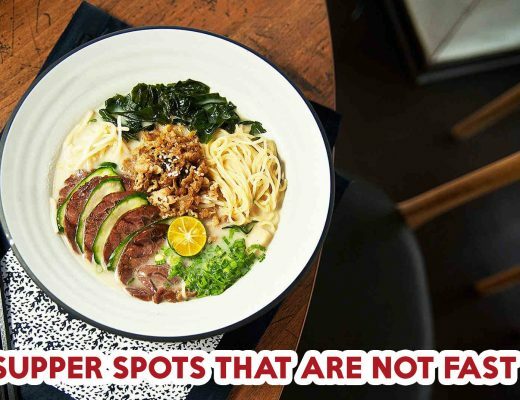 They usually serve it on banana leaves but if you’re out of luck, it’ll come on a styrofoam plate instead. It is served with a hard-boiled egg, achar, curry chicken, and curry, which is the highlight. Mix the curry into the rice and give it a good mix to ensure every grain is coated with the savoury and earthy goodness. Have it with the tender chicken meat and crunchy achar for a more flavourful bite – you can thank me once you’re done with your meal. For those who don’t know, My Briyani House is established by Mr Teh Tarik Eating House. 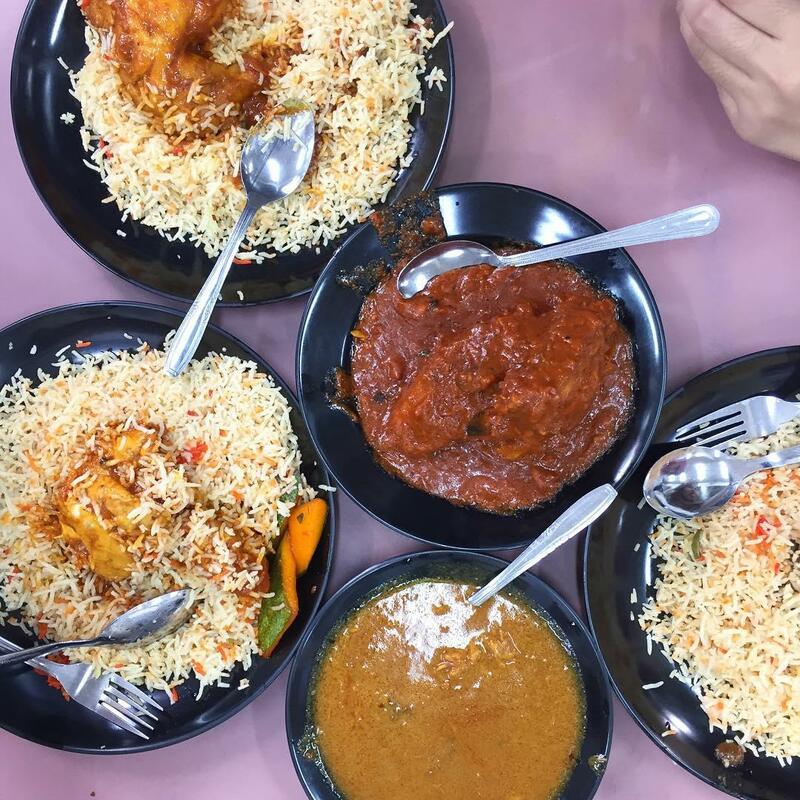 They specialise in Indian dishes such as mee goreng, prata, thosai, and of course, nasi biryani. Mutton Briyani ($8) comes with a side of achar, hard-boiled egg, papadum, and curry. While you’re there, don’t forget to order their signature Ice Teh Tarik ($2) as well. If you’ve ever walked past Masjid Sultan, you would probably have noticed Singapore Zam Zam Restaurant with their prominent yellow-and-green sign boards screaming for attention. This two-storey restaurant has been in business since 1908 and they are well-known for their murtabak and nasi biryani. Both Beef Briyani ($6.50) and Chicken Briyani ($6.50) are equally good and satisfying. If you’d like to take it one step further, they also have Deer Briyani ($12); the deer meat is slightly more gamey and tougher than mutton. If you can’t finish the huge portion you can always ask any of the staff members to help you bungkus and save it for supper instead. 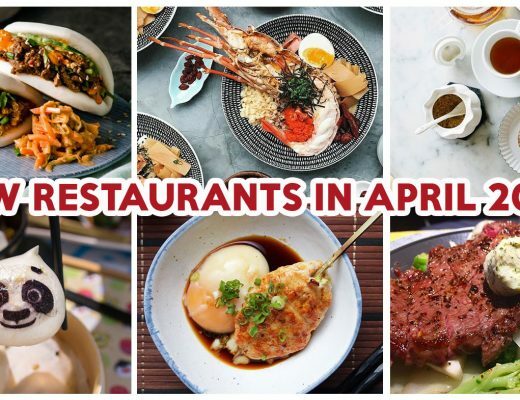 Check out other old-school restaurants around Singapore! My parents would always, without fail, drop by Geylang Briyani Stall whenever they go to Geylang Serai Market. 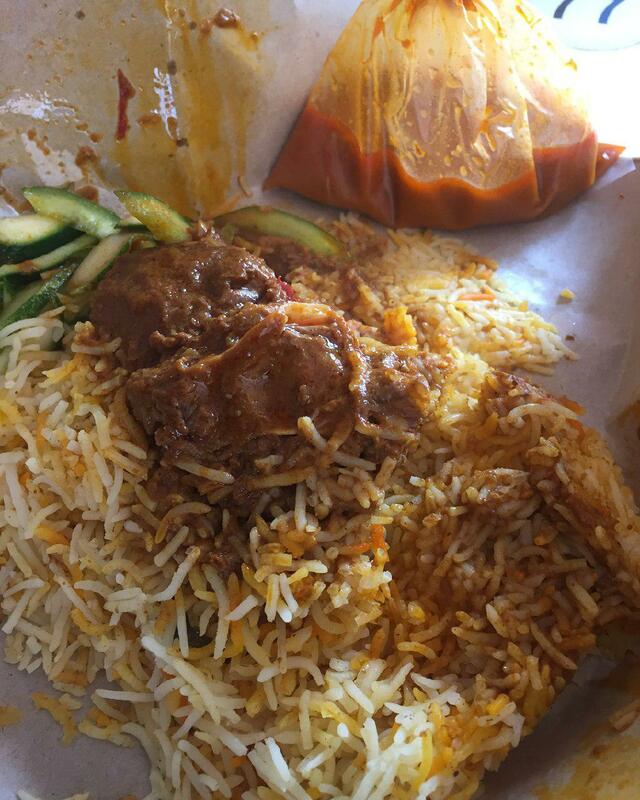 Their Chicken Briyani ($5.50) and Mutton Briyani ($5.50) have captured the hearts of many and gained loyal customers. Bless yourself with their juicy and tender chicken meat which has absorbed the savoury and full-bodied gravy. The vegetable achar adds a crunch and sweetness to the dish. Drench the long-grain rice with curry to maximise your experience. Being one of the largest hawker centres, Old Airport Road Food Centre is the birthplace of many renown food stalls. It is also home to Selera Rasa – not to be confused with Selera Rasa Nasi Lemak. Their Mutton Briyani ($3) is the cheapest I’ve ever come across thus far and I’m still wondering how their stall remains under the radar. Tearing apart their mutton should be an easy task as the meat is super tender and thoroughly seasoned. The meat and rice together is such a moreish combination, you’ll empty your plate even before you know it. With this list, you won’t have to wait for the next wedding invitation just to have good nasi biryani. I hope this will be of some help when your nasi biryani craving strikes the next time. Good things must share so do share this with your friends who are fans of nasi biryani! Featured image taken from Instagram user @munchingmarc‘s post.